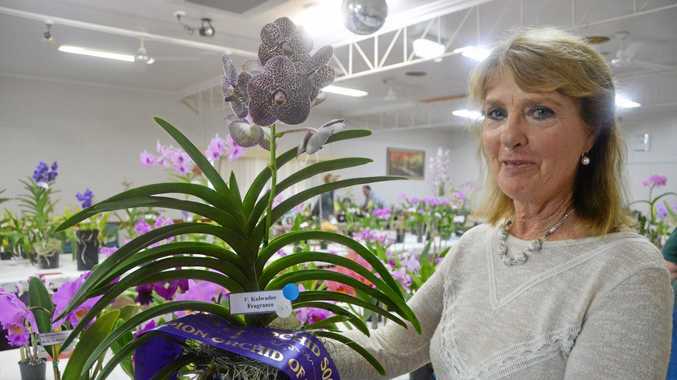 ANOTHER call has surfaced to have Murdering Creek Road renamed to remove the "stigma" associated with the main entry road into the upmarket Peregian suburb. Instead, former resident Roselys Blaich argues a memorial should be built at the site of the indigenous massacre on the banks of Lake Weyba to "properly recognise what happened there". 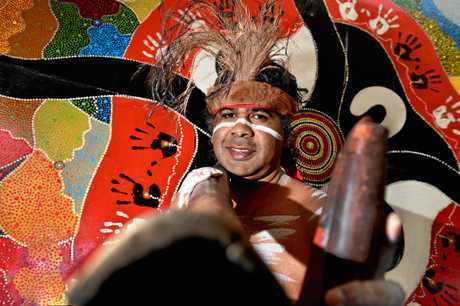 Indigenous artist Lydon Davis does not support the call for the name change and didn't believe many of the Gubbi Gubbi people would. Ms Blaich said the name Murdering Creek Road was "incorrect as the murders didn't take place on that road". 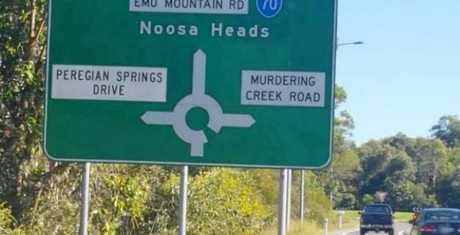 The turn-off to Murdering Creek Road is clearly signposted on the Sunshine Coast Motorway at the northern end of Peregian Springs. Historians Frances Windolf explained in 2008 the road name was to signify the massacre of Indigenous people which took place about 150 years ago when a group of "white men" shot unsuspecting Indigenous people who were living at the creek. "One man dressed up as a "swaggie" and walked through the water towards a creek on the south-eastern side of the lake, while the others hid in the bush. The Aborigines were intrigued as to what he was doing, and went across to him in their canoes," Ms Windolf wrote. Should Murdering Creek Rd be given a new name? This poll ended on 31 July 2017. Yes, a memorial plaque is a better way to remember the massacre. No, changing the name will only help people forget history. A road that actually leads to the lake should take the name instead. "As they approached him, the men on shore let fire a volley of shots, killing the Aborigines." But Ms Blaich said the murders took place at the lake itself and Murdering Creek Road didn't lead to the lake or run along it. "Murdering Creek Road becomes Woodland Drive and it doesn't go all the way down to the lake, or anywhere else near the lake", she said. "These historical events, time and place are important historical factors that need to be appropriately recognised and historically corrected. "This is rather than applying a stigmatising name that lays blame and is counter to the sentiments of reconciliation to a whole area. "The stigma of that name hardly promotes a better relationship (with indigenous people) if it is left the way it is." Ms Blaich said a proper memorial on the banks of Lake Weyba was needed. "The (massacre) needs to be recognised properly," she said. "A plaque should be erected somewhere near the lake so people can understand the meaning of it and the significance it holds." Mr Davis said the Murdering Creek Road sign had "always been there, whereas plaques come and go". "You don't ever get asked about plaques, but I am always asked why the road is called Murdering Creek Road," he said. "It is part of our history." Ms Blaich said the name change of the road was "not so we can forget what happened there". "It is to replace it with something more appropriate". She said the timing now was perfect for this kind of change to occur. "The issue has been raised before, but it might have been put in the too hard basket as no one wants to offend anyone," she said. "But the (Sunshine Coast) council has adopted an action plan to look at reconciliation and it would be useful to start by looking at that name." Ms Blaich said earlier calls to have the name changed brought up "concerns that it was disrespectful". She said that was "not my view here". "I want it recognised properly. It has stigmatised the area and conjures up a burden of guilt which doesn't aid reconciliation. "Yes, we know what happened there, but it would be far more purposeful and meaningful to have an appropriate name and a formal memorial that promotes awareness, respect and is reconciliatory."